Composite Geotextiles are multi-layered combinations of geosynthetic materials. Geocomposites are usually made from UV resistant woven fabrics and a non-woven fabric or reinforced filament to optimize performance and/or minimise cost. 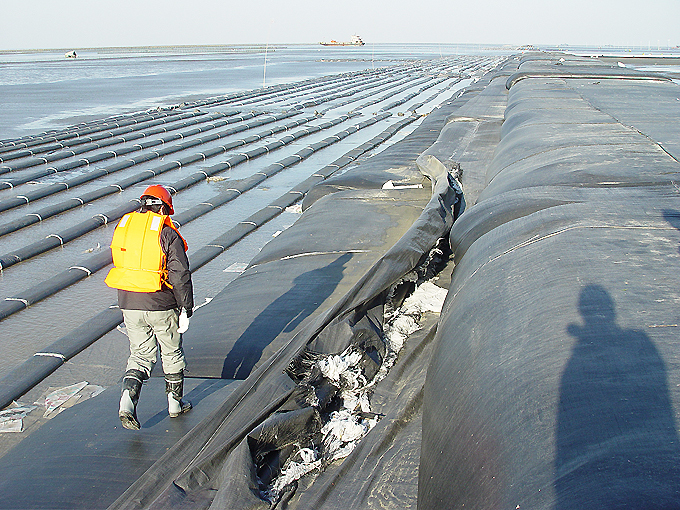 Geocomposites are regularly used in dewatering applications, to remove silt and control pollution from dredging operations, to intercept and remove leachates from landfill sites, and to transmit gases or water beneath pond liners. Geotextile-polymer core composites, such as strip drains, allow very large quantities of liquid to flow inside a drainage core while a filter fabric prevents soil particles clogging the core. Laminated geotextiles provide increased resistance to puncture, tear propagation, and friction related to sliding, as well as good tensile strength. Prefabricated vertical drains for dewatering applications.